The vehicle sensor is an input device of the computer system of the automobile teaching equipment. 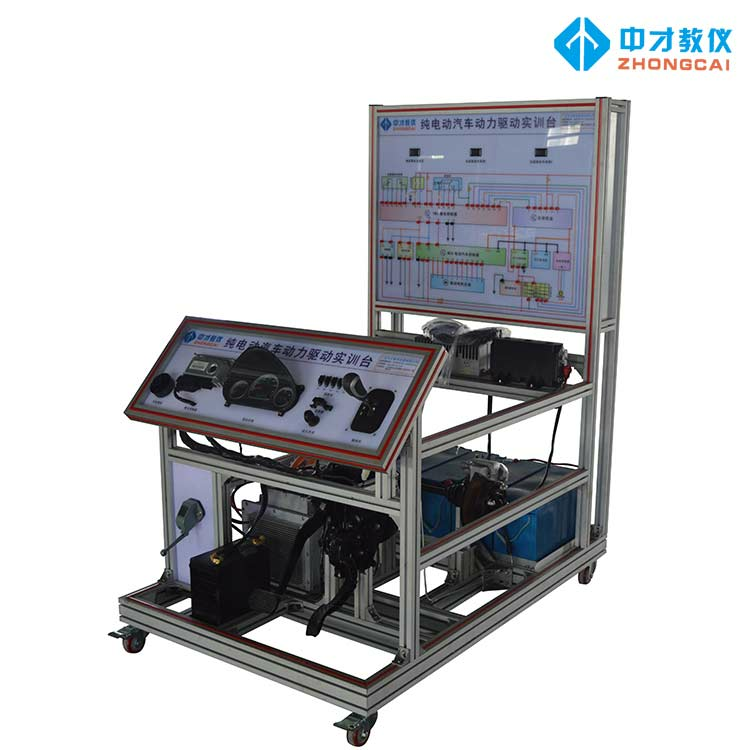 It converts various working condition information such as vehicle speed, temperature of various media, engine operating conditions, etc. into electrical signals to the computer, so that the engine is in Best working condition. There are many sensors for car teaching equipment. When judging the fault of the sensor, you should not only consider the sensor itself, but should consider the entire circuit where the fault occurs. Therefore, when looking for a fault, in addition to checking the sensor, check the wiring harness, the connector, and the related circuit between the sensor and the electronic control unit. Let's take a look at the main sensors on the car teaching equipment. The air flow sensor converts the inhaled air into an electrical signal and sends it to the electronic control unit (ECU) as one of the basic signals for determining the fuel injection. According to different measurement principles, it can be divided into four types: rotary vane air flow sensor, Karman vortex air flow sensor, hot wire air flow sensor and hot film air flow sensor. The first two are volume flow type, and the latter two are mass flow type. At present, hot air air flow sensors and hot film air flow sensors are mainly used. The intake pressure sensor can measure the absolute pressure in the intake manifold according to the load state of the engine, and convert it into an electric signal and a speed signal to be sent to the computer as a basis for determining the basic fuel injection amount of the injector. This type of pressure sensor is used in the domestic Audi 100 sedan (V6 engine), Santana 2000 sedan, Beijing Cherokee (25L engine), and Toyota Crown 3.0 sedan. Currently widely used is a semiconductor varistor type intake pressure sensor. The vehicle training equipment teacher introduced that when the visibility is less than 500 meters and more than 200 meters, the speed should be controlled within 80 kilometers; when the visibility is less than 200 meters and more than 100 meters, the speed should be controlled within 60 kilometers; when the visibility is less than 100 meters and more than 50 meters The speed should be controlled at 40 kilometers; when the visibility is within 30 meters, the speed should be controlled below 20 kilometers; when the general line of sight is about 10 meters, the speed should be controlled at about 5 kilometers. If you can't see it even 10 meters away, it is recommended to drive the car to the roadside safety zone or the parking lot in time to wait until the fog is scattered or the visibility is improved before continuing on the road.